Polarizing filters are almost mandatory for landscape photography, but they have a few drawbacks. The first is obvious: the hassle of having to carry filters with your to fit each lens. The second is not quite as obvious but has a vital impact: loss of light within your scene. Olympus is aiming to change that with a new patented sensor technology that essentially has a built-in polarizing filter within the sensor itself. This technology would automatically analyze a scene for light values and adjust accordingly, allowing you to basically have a polarizer for each one of your lenses without the hassle (or expense) of carrying them around or losing valuable light from critical scenes. According to Egami (why can’t anyone ever file a patent outside of Japan? 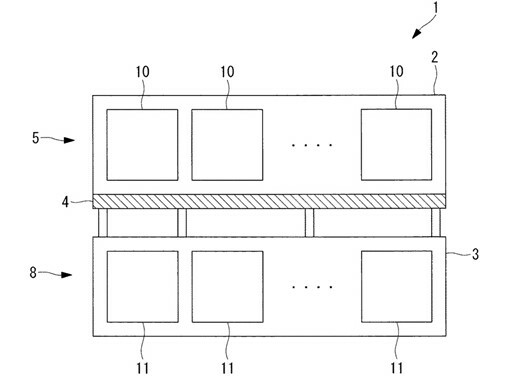 ), Olympus was just awarded Patent Publication No. 2015-41793 for this technology which they have been working on for several years. Based on patent documents, the sensor has two layers: a first layer which measures light and color as in a traditional camera sensor, and then a second layer which analyzes and records the polarization of light hitting it. This second layer is “arranged at a pixel pitch corresponding to the incident angle of the first layer,” basically being able to detect the angle of light entering the camera. Because it is an electronic process rather than a mechanical one, there is no loss of light value throughout the rest of the scene as the polarization is analyzed separately. While there’s currently no talk about when this technology may actually hit the market, it will be interesting to see its continued development and which other manufacturers may try to replicate it. In-camera capabilities like this could be revolutionary for the landscape photography market but could also be the equivalent of smartphone photography – putting better technological capabilities in the hands of those less experienced. Wouldn’t that make the camera completely useless for human subjects? If I am reading this correctly, you can turn the “filter” off, since it is just another layer in the sensor.